Julia does not, in fact, include any buckwheat recipes for crepes in her book, but she does distinguish between dinner and dessert recipes. 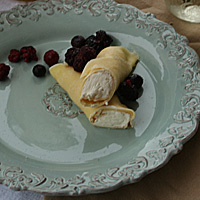 A dinner Crepe should be a little thicker to hold up under heavier ingredients, but a dessert crepe is light and delicate. 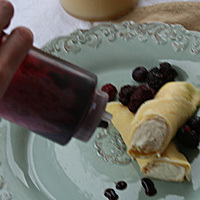 Many of you are making dinner crepes for your dessert, and it's all just fine really, but this recipe is worth a try. They're delightful, even if two or three get ruined in the flipping process because they're so thin. 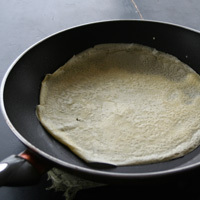 See 'Notes' section below for the dinner recipe if you are a beginning Crepe flipper. 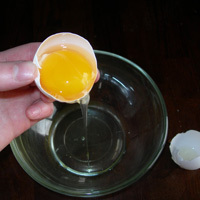 Separate 3 egg yolks Blend all the ingredients in a blender. 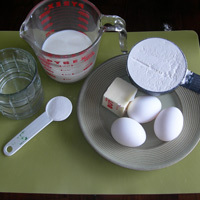 Use a rubber spatula to scrape down the sides and blend again. 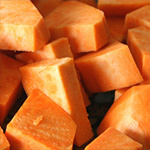 Refrigerate for 2 hours or overnight!! 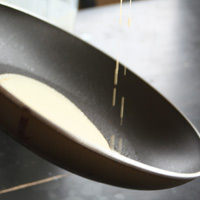 Pour 1/4 C of batter in a heated pan sprayed with pam. cook on med high heat. Begin rotating the pan as you pour. This is where refrigerating your batter will make a huge difference. You don't want it to cook too fast or the batter won't get all the way around the pan. Keep turning! You can see here that I am using an ordinary large sized frying pan and not a crepe pan. 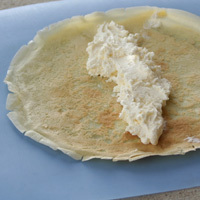 If you don't have a crepe pan, you can still make great crepes! After about 30 sec to a minute, the bottom will firm up enough to flip it. 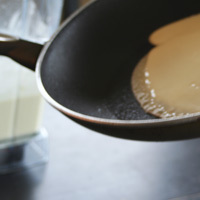 Use a spatula to loosen the edges and then flip it over for another 10 or 20 seconds on the other side. This is a quick process. Spread some crepe filling down the center. Make sure the filling is chilled so it stays firm. Roll it. Cut it in half. Plate with some berries. Drizzle Berry Syrup on top. Next comes the Buttermilk Syrup. Warm the syrup a little so it drizzles well and the sugar isn't grainy-about 10 seconds in the microwave. 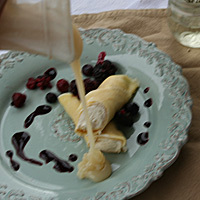 So to re-cap: Serve the crepes with cold filling and warm Buttermilk syrup. 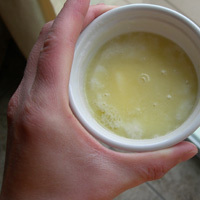 Problems: Cold syrup- the Buttermilk Syrup tastes gross if it is cold. The Berry Syrup is fine cold. 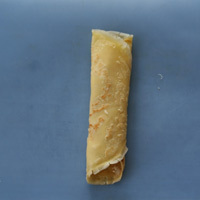 Crepes Rip When Flipped- Combat this by keeping the batter very cold: refrigerate at least 2 hours! Wait a little longer to flip them. They may be darker brown, but they'll still taste great. Too Much Filling- The filling is very rich, so a little goes a long way. 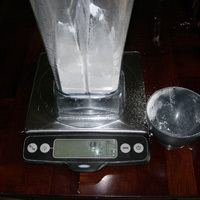 Weigh the flour on a scale. I leveled my measuring cup and it was 1/2 oz. short of 5 oz. when I weighed it. It makes a big difference in this recipe if the flour is off. 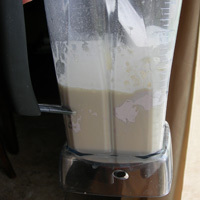 Blend all the ingredients in a blender. 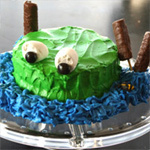 Use a rubber spatula to scrape down the sides and blend again. 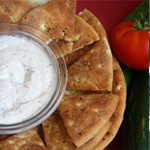 Refrigerate for 2 hours or overnight!! 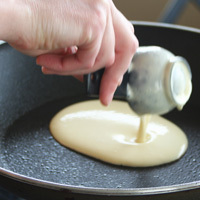 Pour 1/4 C of batter in a heated pan sprayed with pam. cook on med high heat. Begin rotating the pan as you pour. This is where refrigerating your batter will make a huge difference. You don't want it to cook too fast or the batter won't get all the way around the pan. After about 30 sec to a minute, the bottom will firm up enough to flip it. 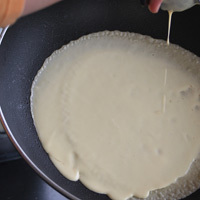 Use a spatula to loosen the edges and then flip it over for another 10 or 20 seconds on the other side. This is a quick process. Spread some crepe filling down the center. Make sure the filling is chilled so it stays firm. 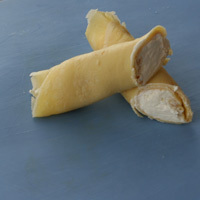 Roll crepes. 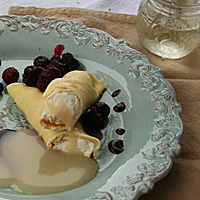 Cut each crepe in half and plate with berries, Berry Syrup, and warm Buttermilk Syrup. 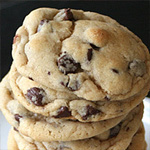 Follow the same insructions as above and don't forget to weigh your flour and refrigerate the batter!